To me, involvement in music is as vital as breathing. Whether we are listeners or players, composers or mashers, we're involved in creative thinking, and exercising our imagination muscles. I also believe that a musical education helps kids develop many of the building blocks needed for literacy. As a child, my introduction to classical music was via TV, in particular through Merrie Melodies Cartoons. When I later got to listen to Wagner as an adult, I would sing "Kill the wabbit!" under my breath. That was thanks to What's Opera Doc, still one of my very favourite cartoons. My next introduction to really listening to classical music without the aid of cartoon visuals was to program music like Ferde Grofe's Grand Canyon Suite. While my teacher played the record, I would close my eyes and imagine I could see the scenes. Music, where a composer has consciously tried to create recognizable scenes and tell a story, is a great way in to classical music for youngsters. Nowadays, there is a range of programs for parents who want to involve their kids in music. I have always loved Zoltan Kodaly-style programs and was lucky enough to see a similar session when I was in Perth last year. This was at Cottage School of Music Junior, run by Danielle Joynt. Lessons like this are much less formal than sitting at a piano and learning scales. They make music a natural extension of a child's love of play. As well as seeking out formal and informal music lessons for your kids, there are websites that help parents and teachers involve children in music. 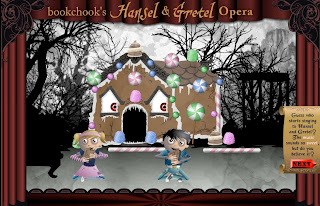 This is a wonderfully interactive webspace, part of Creative Kids Central, where kids get to take on the different roles in putting on an opera performance. 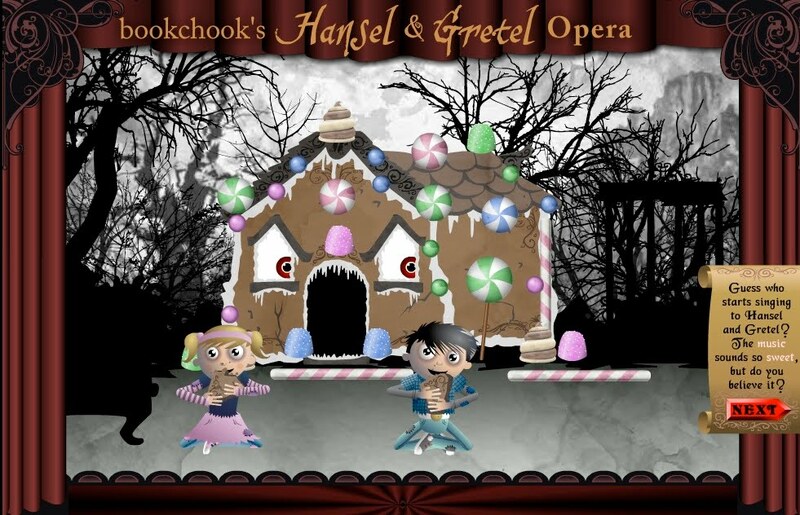 While listening to the music of Hansel and Gretel, an opera by Engelbert Humperdinck, children experience each scene through the animated performers, choosing their outfits, props, choreography, sets, and even directing technology like strobe lighting. What a great way to introduce kids to opera! It gives them something to do while listening, rather than making it a straight listening exercise. There are also questions and pointers for listeners which really help us understand the music. After the opera, when bows have been taken and roses thrown, you can go backstage to learn more. There are also some teacher resources like pdf art and writing activities. Also at Creative Kids Central, the family listening activity gives examples of the sort of music I described above, where composers wanted to invoke a scene. This is a great place to take your kids if you're not sure where to get started with classical music. Or try the index, for explanations of different styles of music. is an online musical education experience set to the music of Rimsky-Korsakov’s symphonic suite. Parents can enjoy this game with their children, and explore the musical story and the accompanying musical education via listening guides on each screen and four music games for kids. Parents can access interesting and related information by clicking on the oil jars at the bottom of the screen. At the end of Scheherazade's story, kids can explore three related activities in the Royal Garden! You'll also find lesson plans tied to US standards. Cantaris is an Early Childhood Music Learning Resource, created By Danielle Joynt. As mentioned above, I was lucky enough to see Danielle and her students in action when I was in Perth, and I have no doubt that hers is the style of music education I would seek if I had young children. If you don't live near such classes though, Cantaris is the next best thing. It is a program that engages kids in song, dance, rhythm and rhyme, and also introduces percussion and early music reading and writing. It is available for sale at the website, and you can get a taste of it with free samples, which also include some recommended children's books. Maybe you're just looking for some songs to share with your kids? I stumbled across a company called Intelli-Tunes by Ron Brown. Ron has his CDs for sale, but there are several songs available as free zipped downloads, which I think are fun, but also easy for parents to listen to. The San Francisco Symphony has a website for kids. It's set up as a music lab, where you can experiment with elements like pitch, harmony and rhythm. You'll find lots of instruments to play and compose with. Starfall has lots of wonderful resources for parents and kids. The relevant one here is It's Fun to Read - Music. Listen and move to excerpts from some famous composers, like Joplin, Mozart, Chopin, and read their biographies. Kididdles is great if you want to listen to some songs for kids, read the lyrics or look for free sheet music (must sign in for the latter, first.) I found a lot of old campfire songs I'd almost forgotten. It's lovely, Carly. And I can understand her delight in Sound of Music. I still love that movie and especially the songs. This is fantastic, sending it to my music teacher now! Isn't music beautiful! The other day, my sister found a tape with our old, very old, music recording on it. So funny and cute! But we've moved on from tapes haven't we! Will have to check out the links. Lots of goodies here for your kids, Kelly. Hope you're all having a lovely holiday! That's music to my ears, Steph! What amazing resources!! I grew up surrounded by music (the benefits of having a grandfather as a retired music teacher), and I want my children exposed to it as much as possible and in all varieties! Thanks for this list! Now, I need to catch up on your other posts to see what I've been missing!! Hey Tif! I seem to be constantly playing catchup with visiting blogs, google reader, even emails. At least my music makes me breathe more slowly!